A red Volkswagen Jetta with a black hood is associated with the disappearance of Sierra LaMar, the 15-year-old South Bay girl who has been missing since March, Santa Clara County sheriff's investigators said Monday. Sierra is 5 feet 2 inches tall with a thin build, dark hair and an olive complexion. *Update*: Santa Clara County Sheriff's Office have located the red Volkswagon Jetta that investigators believe is associated in the disappearance of missing Morgan Hill teen Sierra Lamar. 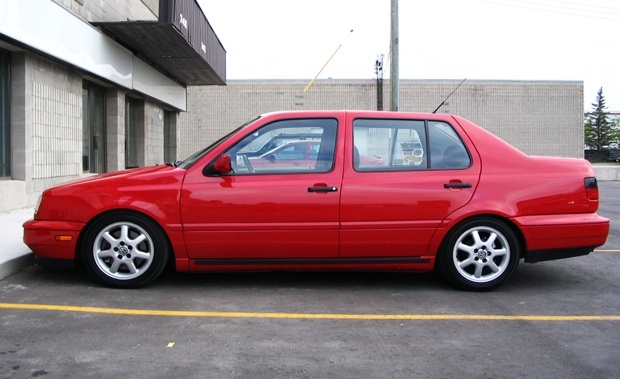 Authorities are seeking a car similar to this red 1990s Volkswagen Jetta, but with a black hood.